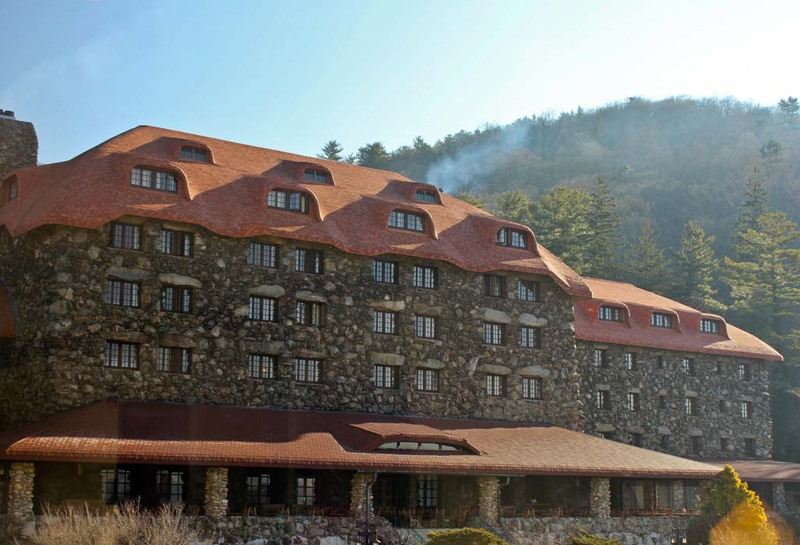 When I added Grove Park Inn to my 2013 bucket list, I had no idea the extent of relaxation and resort luxury I was going to experience or how much I truly needed it. Just a two hour drive from our home in Charlotte brought us to another world; a world filled with spacious accommodations, superb dining, unbelievable views, and endless amenities. We marveled at the spectacular view during our breakfast experience, escaped to a world-class spa, and stepped into a world of glamour inspired by the great American author F. Scott Fitzgerald in The Gatsby theme room. Grove Park Inn was the relaxing weekend away from it all that we desperately needed. Rather than posting, texting, Tweeting, and sharing on Facebook, I turned off my phone, put away the computer, and forgot the camera… most of the time. It was a weekend for us as a family – the perfect relaxing, mountain getaway. Sometimes even extreme adventure seekers need a rest. We arrived at the inn on Friday evening. It was just starting to get dark as we drove onto the property and we were greeted in style. 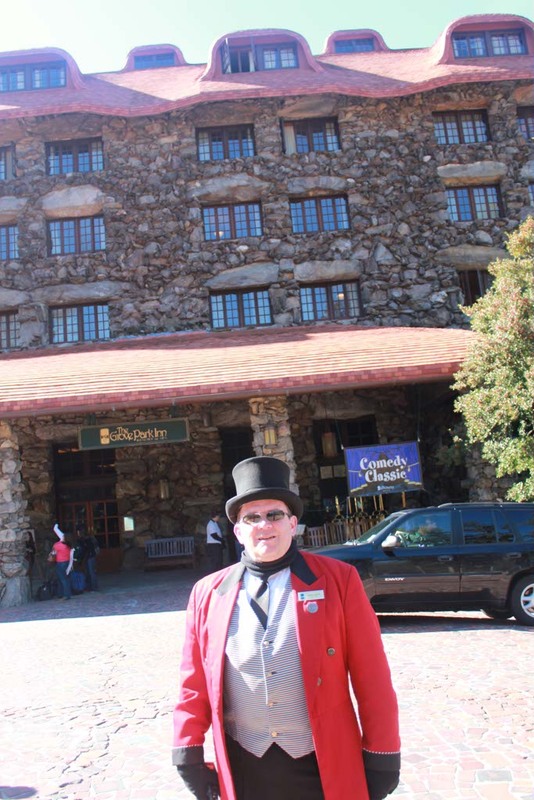 A valet, dressed in coat tails and a top hat, directed us to the valet parking area. We stepped out of the van and into a timeless escape with massive stone fireplaces, giant rocking chairs, and bell hops busy attending to every guest. 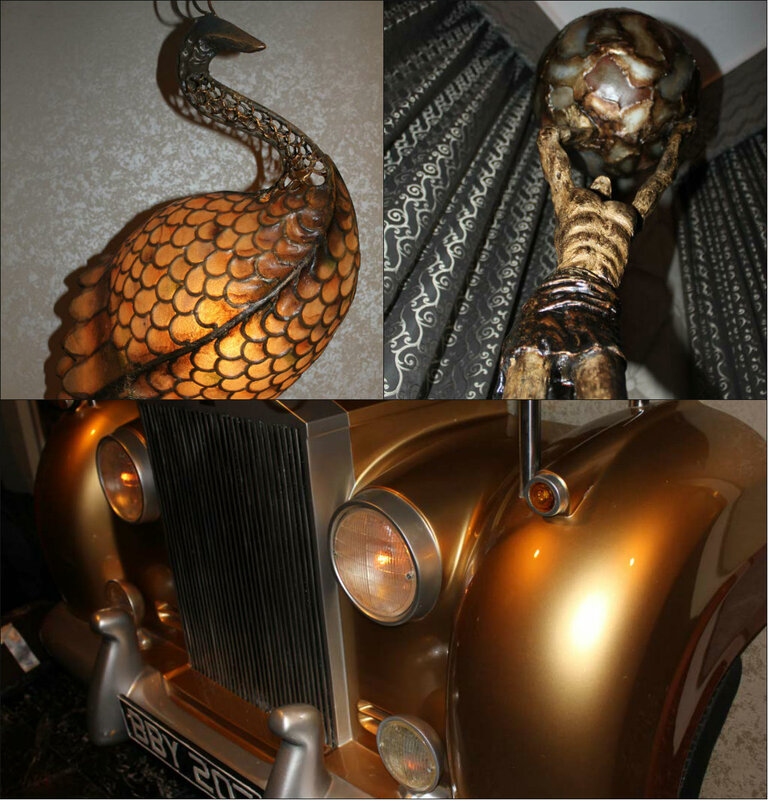 Our room – The Gatsby. This beautiful suite is decorated in the tone, fashion, and style of the 1920s Jazz Age. While the plush Art Deco is not necessarily my style, I felt like I was walking into a Hollywood party and martini drinking Go-Go ladies were going to be waiting around the corner. It wasn’t just a room; it was a lifestyle. When Athena fell asleep, we cozied up in the huge purple chairs and played a game called Sequence. For the first time in months, I put away my phone and computer. I forgot about the Biggest, Baddest Bucket List contest and I enjoyed Darren’s company. It’s difficult for me to shut off from the world and step away from social media, blogging, writing, sharing. It’s a blessing and a curse all rolled up in one. I’m fortunate to be able to do something I love but it’s so much a part of my life that I can’t step away from it any more than I can step away from my arm. It’s part of me. But for one evening, I was just a wife and a mother and that was plenty. Saturday morning, Darren woke up with the baby and I slept in. It’s amazing what we think is sleeping in now that we are parents. My 9:00 am rise was well over three hours later than my usual wake up call. I felt refreshed and ready to draw the curtains open and let the sun shine brighten the room. It was 10:30 before we went to the Blue Ridge Dining Room for breakfast. The Southern breakfast was accented by the views of the Blue Ridge Mountains. I thought about getting a home-made omelette or maybe freshly-made waffles, but then I saw the donuts displayed ever so beautifully on a table. They were fresh and dressed in bright sprinkles. “Lesley… over here. Pssst… look… pretty.” How could I deny them? They were calling to me. I figured if I was getting the donut, I might as well go all out so I ordered a soda, got an omelette freshly made for me, and added a plate of waffles on the side. I quickly started to understand why guests loved Grove Park so much. This was living! The walk to the Sports Complex was good for us after a large breakfast or should I say dessert.The Sports Complex is 50,000 square feet and home to indoor and outdoor tennis courts, a racquetball court, a Fitness Club, a cardio room, table tennis and pool tables, and a Tennis Pro Shop, but we only had one thing in mind – the indoor pool. 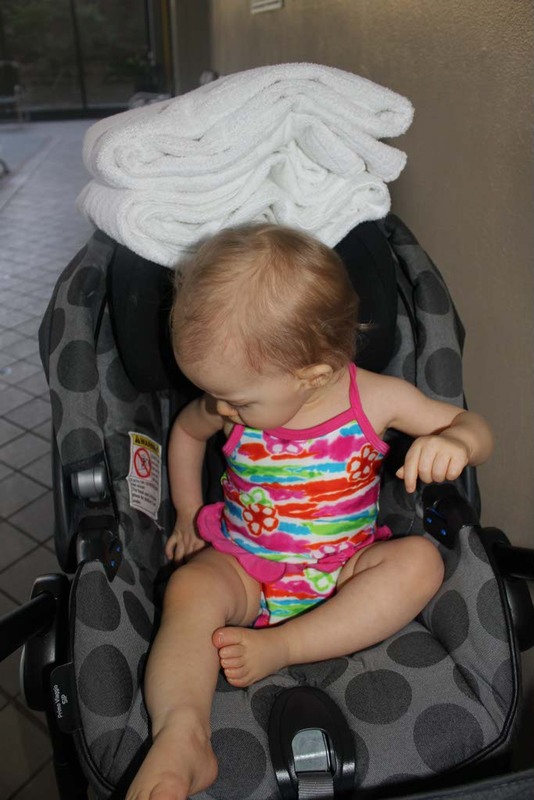 Athena loves to swim and I love seeing her in her little bathing suit and water-proof diaper. She’s too adorable in the water and today was no exception. She splashed her arms and giggled when we spun her around quickly. She couldn’t quite figure out where Daddy was going when he went under the water, but she laughed every time he popped up in front of us. We could have stayed there all day and I would have been completely happy but when her little hands started to wrinkle, we knew it was time to get out and warm up. I wasn’t too disappointed because I had a day pass to the spa. The spa was 45,000 square feet of pure bliss, including hot tubs, whirlpools, wet and dry sauna, and an outdoor whirlpool. My first relaxing endeavor was the outdoor whirlpool. As soon as a sat down in the warmth, I felt my stress and worries wash away. The view was the icing on the cake. The vast mountains sprawled from left to right and the blue sky kissed their tops like a mother with her child. I didn’t think it could get any better then I went inside to one of the larger pools and I was pleasantly surprised once again. One of the indoor pools was empty so I thought I’d give it a try. It wasn’t hot or cold; it was like bath water. When I looked up at the ceiling, I noticed dozens of tiny lights like stars in the sky so I laid back and floated in the water. When I first heard it, I assumed it was above the water then I realized they were playing music under the water. I floated there, without a thought or question or direction. I watched the lights sparkle and the skylights pass by as I floated from one end to the other. The only sound was the calming notes playing all around me. I was completely at peace, and I stayed for hours. Grove Park Inn is legendary. From the décor to the amenities to the spectacular views, the hotel is truly an experience in itself, but the spa is a one-of-a-kind experience. 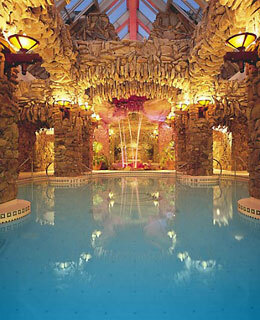 There is no wonder why it is ranked as one of the top five hotel spas in the country by Travel + Leisure. 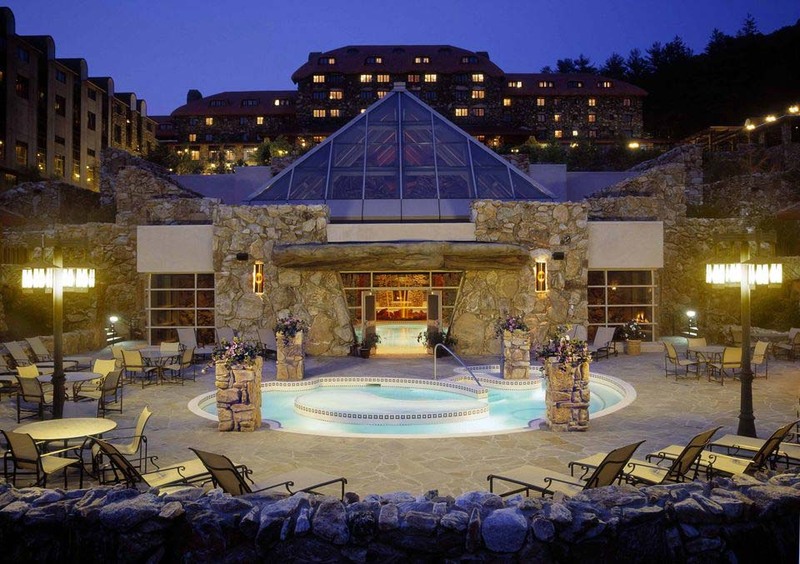 The pure mountain air, impeccable service, fresh foods, and unparalleled amenities, including the spa, at Grove Park Inn gave us the relaxed, rejuvenating, family weekend we needed. 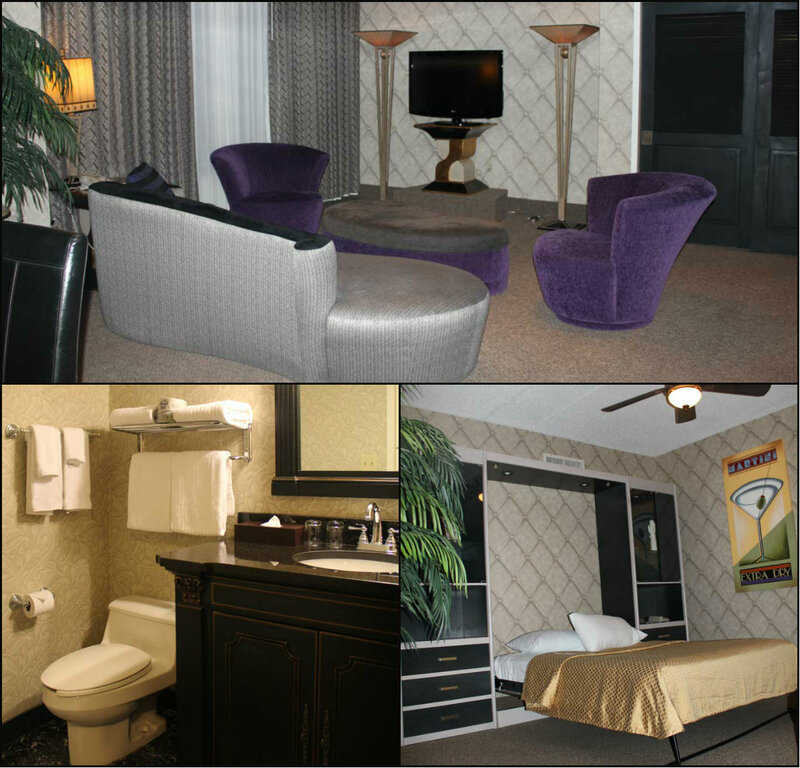 The comfy rooms, the calming music, the pools, the separation from computers and cell phones…. I was lost in time and found with family at Grove Park Inn. 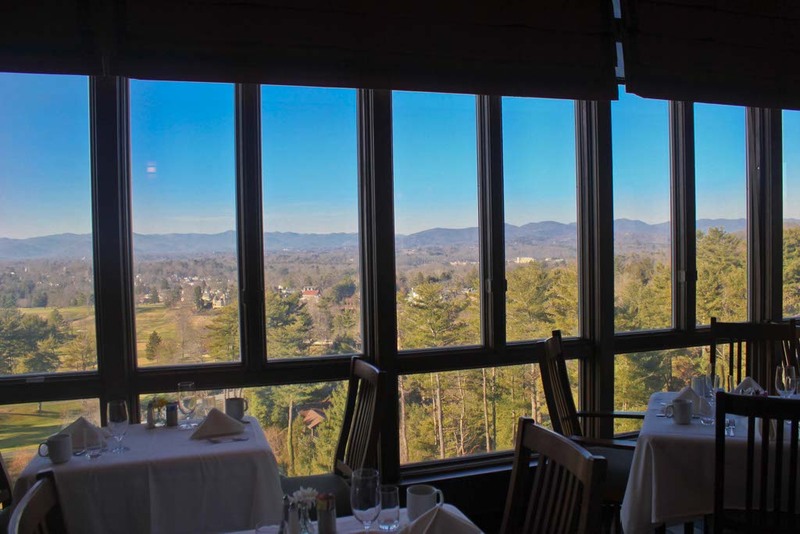 This entry was posted in Asheville, Family Travel, Hotel Reviews, North Carolina, North Carolina Hotels, Reviews, Travel, USA and tagged Asheville, bucket list, Bucket List Publications, bucketlist, Grove Park Inn, Hotel, Lesley Carter, North Carolina, travel, USA by lesleycarter. Bookmark the permalink. I’m glad you had a moment away from technology to spend time with your family. Those moments are precious. Your husband rocks, getting up with the baby! You must have had a great time. It’s great to “step out” for a bit, even if it’s just a couple of hours. That’s one real nice pool……..
I’m relaxing vicariously! Thanks, I needed that! Wonderful! I am so glad to hear that you got away from it all, so to speak ❤ The Blue Ridge Mountains are radiating with relaxing energy. I have been there. My best friend lives in Asheville. I am sure you found it just as beautiful and gracious as I did. I love the texture of the outside of the building. Very artistic. Wow it looks like such a beautiful setting! Looks like a fabulous time was had by all! I stayed at the Grove Park Inn years ago ~ love the area. Your post brought back fond memories. That sounds really wonderful. We all need pampering from time to time and we’ll be doing something very similar (minus the mountains) during our Easter trip to Barbotan-les-Thermes in the south of France. I hope it will flash the winter blues away. Athena is just adorable. Enjoy her! Wow looks nice! Have fun! Get some good exercise! Beautifully done! I want to go there! I love how you incorporate the little details – – they make your story and your experience come alive. Great writing. I love your blog! This place sounds fantastic. Glad you enjoyed your visit. I love Asheville and would not want to live anywhere else (OK, maybe Tuscany). 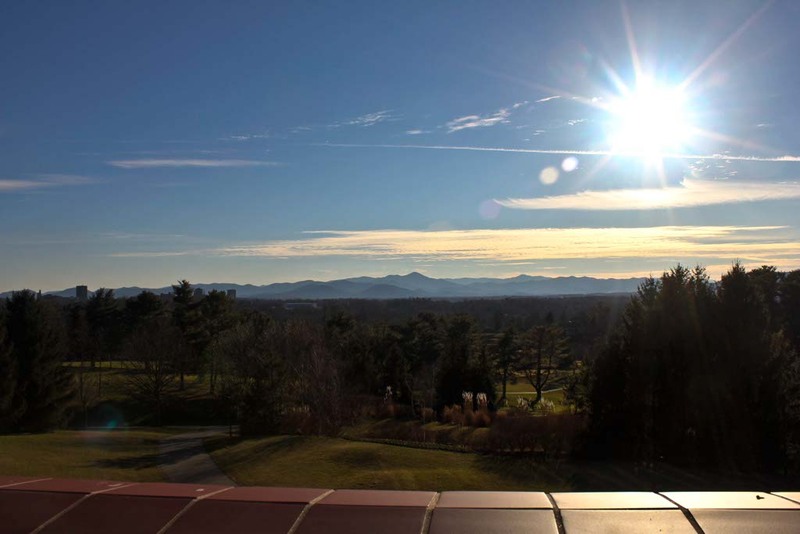 I stayed at the Grove Park Inn many years ago (went to a business conference there) and I remember the gorgeous views of the Blue Ridge. I look forward to reading more of your blog. What a great blog! I’m excited to follow your adventures. wow! what a view! I am from NC too. Asheville is one of my most FAVORITE places to visit. Great photos! If I am ever in NC that will be the place! What an amazing place to spend the weekend! I love you you are making conscious decisions to live your life now. That pool is uh-mazing! I don’t think I could ever leave if I visited! Thanks for sharing! Now it’s on my bucket list. 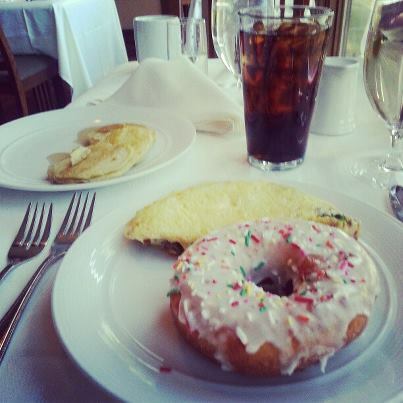 We spent our honeymoon at the Grove Park Inn. It is magical!! I can’t wait to go back again. What a beautiful spot for you and your family to unwind together! Looks like you guys definitely made some moments to treasure! Looks like pure decadence. But the amazing thing was shutting down your computer and Internet connection. (grin). That took courage! You’re quite an adventurer, Lesley. Most people think I am, but that’s more the direction that life has taken me rather than the direction I have taken my life. haha. I’m glad to be settled quietly on the bayou at this stage of my life. You keep on going, though – I’ll be cheering you on from the sidelines! I went to college in that area in the 80’s and have been dying to get back ever since. 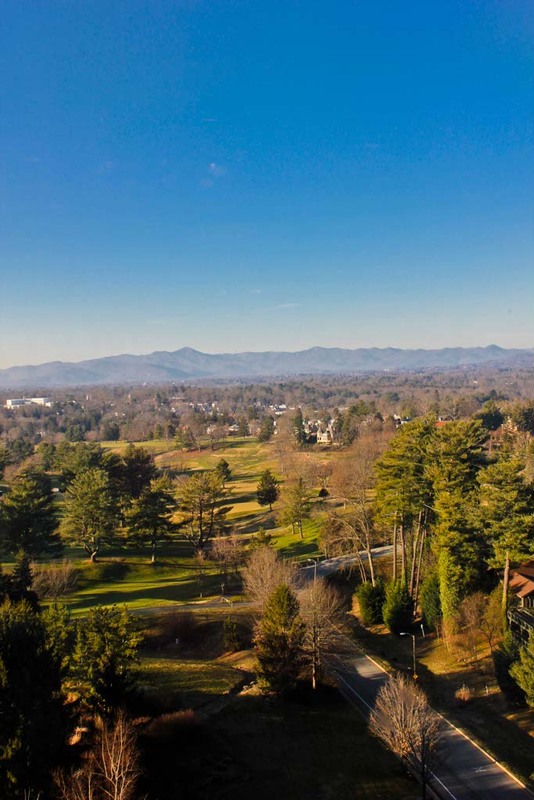 Something always seems to get in the way, but I will not rest until I’m back in Asheville, and the views from this hotel window tell you why. I’m glad you got to come to Asheville and I’m sure GPI loves that you love them! Did you get to visit any other local places? The President is coming to town this week and it’s the excitement around here. 🙂 He and the First Family stay at GPI as well. GPI is one of my favorite all time places! I’ve been there multiple times and stay fascinated by it. If you ever get the chance, spend a night in the old wing. The rooms are smaller and not themed but they are filled with antiques and I find them delightful. This place is magical. So glad you had fun! So glad you had such a super weekend! 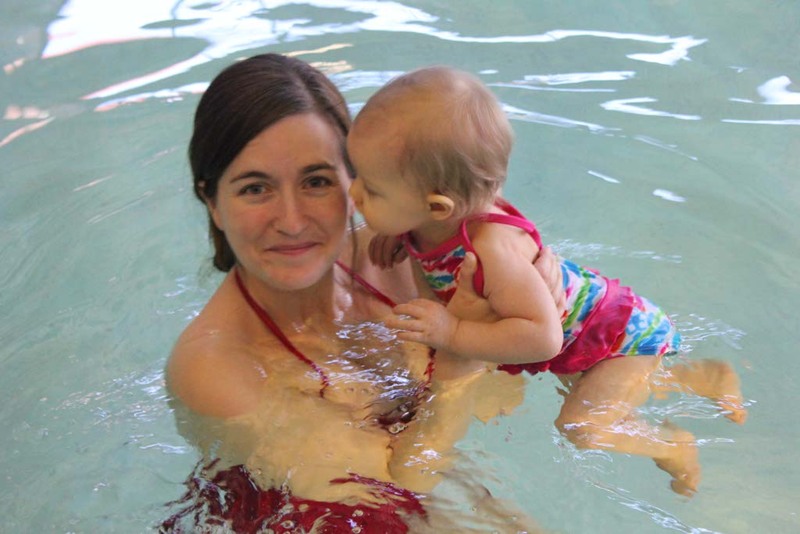 Love the picture of Athena in her little swimsuit! She’s a natural! The spa sounds so relaxing and the scenery is absolutely beautiful. Good for you for being able to ‘turn off technology’ for a couple of days!